If you are looking for security perimeter solutions in Sunderland, then look no further than Automation and Security. 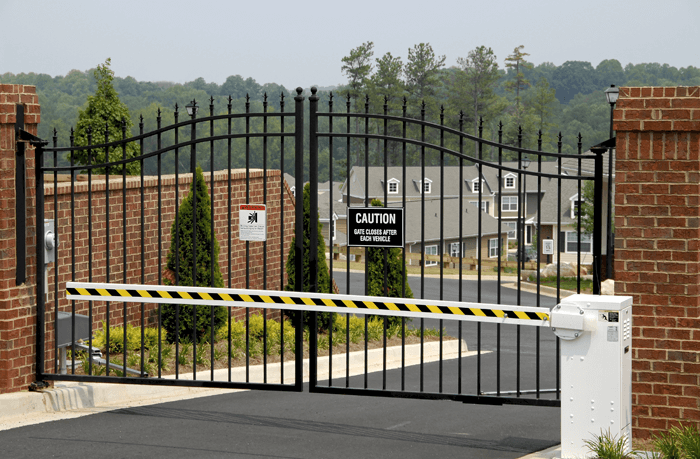 They have a wide range of security solutions from electric gates, barriers and bollards with optional extras such as access control on all products. For the last 20 years Automation & Security’s professional team have been supplying, delivering, installing and maintaining security systems. The process starts with a site survey of your existing property, where they can discuss your needs and highlight any security weaknesses you may have. They will tailor a security product which is bespoke for your individual site needs in Sunderland. Automation & Security work with the major brands in the automated gate niche and can provide a wide range of products including cantilever, swing and sliding gates. Electric gate operators can be hidden below the base of the posts for a tamper free solution. All of their security products are based on around the existing aesthetics of your property and the gate motors work to provide a noiseless and seamless operation. Manual or automatic arm barriers provide a great security benefit where unauthorised access via vehicles and car parks are concerned. These security barriers can have added access control functions, saving manpower, as the barrier is linked to a current employee database which can be accessed via a key fob or card. Bollards work as a great deterrent from unauthorised access to sensitive areas of your building. These can be either static or retractable and come with an automated option for added security. PA68 anti-terrorism products add a high impact security solution for those working in sensitive areas or at risk of ram raid, such as defence or finance. Automation and Security provide anti-terrorism electric gates, barriers and bollards. For those at risk of flood damage, they recommend their wide range of flood defence gates, which will help protect your property in extreme weather conditions.